g6 | Is Gold the Answer for Anxious Investors? There is good reason for investors to be cautious with economic headwinds building up in the latter half of 2018 and the beginning of 2019. The market has responded well to anxiety early this year, but the domestic and global economy is facing major challenges. Canadian growth is projected to slip below 2% this year and next. Of course, risk is always present in the market. Investors hoping to profit in turbulent times should work to hedge their portfolios with assets that thrive in uncertain periods. Gold has drawn huge interest as a hedge, especially since it surged in the years immediately following the Great Recession. Instead of delving into the lengthy debate over physical versus paper gold, today we are going to focus solely on gold equities. IAMGold is a Toronto-based gold miner. Shares have dropped 7.5% in 2019 as of close on February 8. The stock has plunged 30.2% year over year. IAMGold stock failed to benefit from the surge in spot gold prices over the past several months. The company posted a disappointing third-quarter report that saw year-over-year gold production and sales drop 9,000 ounces and 8,000 ounces, respectively. Revenues fell $24 million from the prior year, and it reported an adjusted net loss of $6.9 million, or $0.01 per share. The company met the high end of its guidance for 2018 production at 882,000 ounces, but it projects that this will shrink in 2019. IAMGold stock dipped into oversold territory in mid-January but has since recovered. Higher prices should reflect in its Q4 report, but the stock is not the best gold miner on the market for investors looking for exposure in this sector. 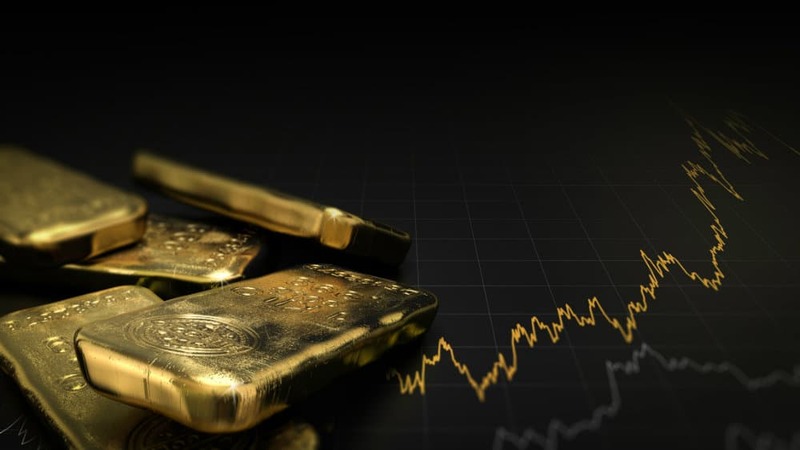 Yamana Gold stock has climbed 14.6% in 2019 as of close on February 8. Back in late December, I’d suggested that Yamana was a solid bet for those looking to jump on the rising price of precious metals into the new year. The company saw gold production exceed projections in the third quarter as Yamana Mines produced 246,788 ounces in Q3, which was up 10% from the prior year. In early January, Yamana announced that full-year production exceeded guidance and the company produced 940,600 ounces of gold, which beat projections at the end of Q3. Yamana stock is a little pricey right now at an RSI of 64, which is just outside overbought territory. The stock has been hindered by disappointing earnings recently. Improved production and higher prices have laid a solid foundation for the company to exceed expectations again in 2019. B2Gold is a Vancouver-based gold miner. Shares have climbed 3% in 2019 so far, but the stock is up 20.5% over the past three months. For the full year in 2018 the company reported record annual consolidated gold production of 953,504 ounces of gold. This neared the top end of its guidance for the year. It also achieved record annual consolidated gold revenue of $1.2 billion in 2018. B2Gold is also an expensive option in mid-February, but this should come as no surprise. The materials and energy-heavy TSX is pricey after surging in January and early February. As of close on February 8, B2Gold had an RSI of 62, which is just outside overbought territory. The stock is trading pennies off of its 52-week highs, so potential buyers may want to wait for a pullback.